Commentary: Troopers and pilots are popular, but the Imperial TIE Fighter Pilot is an odd one in terms of revisions. 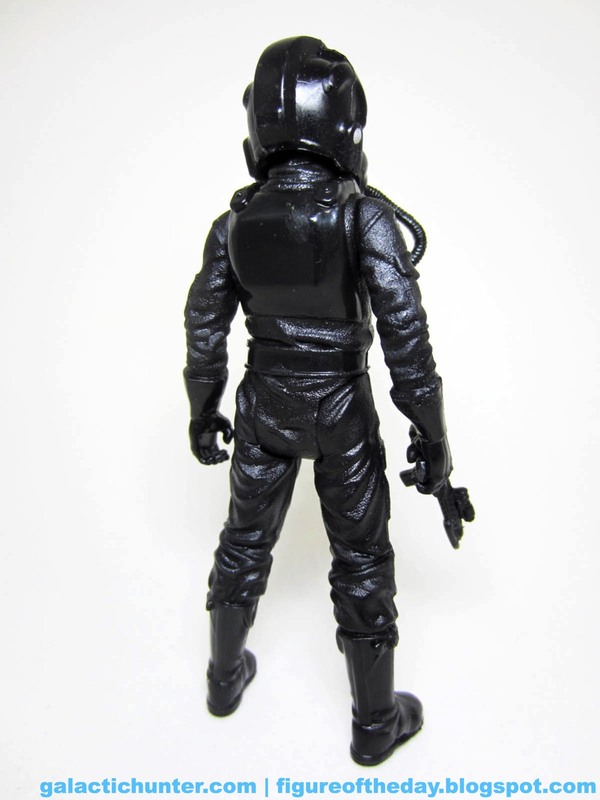 Despite being one of the figures released in the modern era back in 1996, and despite over a dozen releases and variants, Hasbro hasn't done a super-articulated version or a completely new sculpt of the movie pilot since 2004. That one kept getting tweaks like new legs and other alterations, but never a complete revision, and never ankles. This new one? No ankles. It has 5 points of articulation, and the chest console is seemingly glued in place - mine was a smidgen off-center. 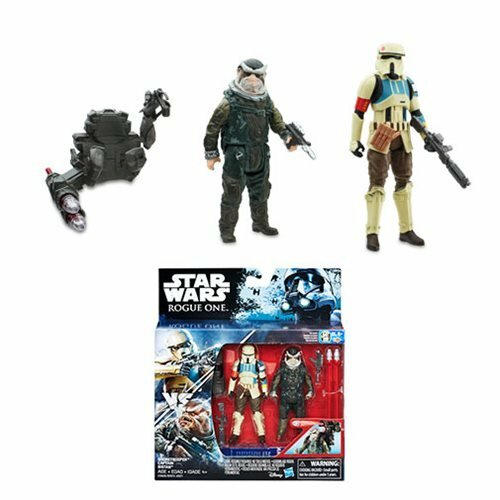 At first glance I thought it was a taller figure than the rest, but comparing it to the new Stormtrooper it's actually shorter - and a little plumper. As one might hope, it can sit perfectly in the TIE Striker vehicle - even its new, strange update of the blaster mounts perfectly in the lid of the ship. This is one of the reasons I'm not freaking out about the off-center console - we're probably going to see this figure again and again, now that Hasbro has it. 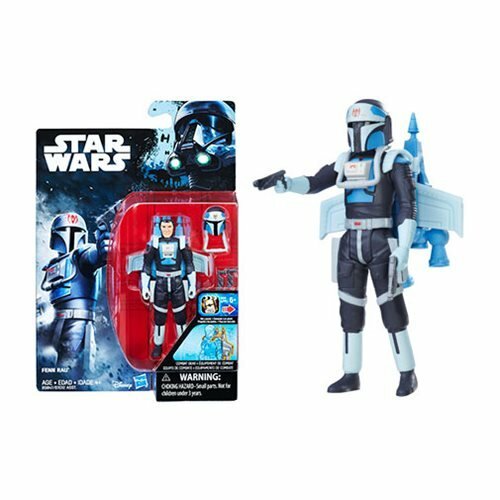 I wouldn't be at all surprised if it got packaged with new TIE variants, or maybe some day a 100%-new TIE Fighter - which, depending on how generous you're feeling, we really haven't had since the old days. It's a much better pose than most of the pilots, and it'll look great on a shelf. It's just going to stay in that pose, but given the shoulders and elbows of previous figures I'm actually not going to complain. Deco is sharp - as is the texture. The body suit is lovingly fabric-y, with creases and bumps that compliment the many pockets and patches. 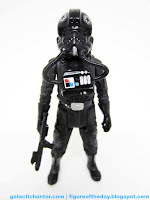 Each shoulder gets an Empire symbol, with the left arm getting some nice coloring and the chest having a nice big red square - a rarity on these figures. I can only assume it's based on the flight uniforms we see (or don't see) in the new movie, and it doesn't seem to have any specific pilot markings to identify it with a tear or a stripe or other adornment. This is a standard issue pilot. 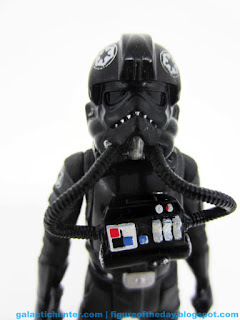 Short of giving it grey gloves and boots - which, Hasbro, I would love you forever if you do - this is probably the closest looking and feeling TIE Pilot variant we have when trying to modernize the 1982 original. I'd be beside myself with joy if Hasbro carded it individually in "Kenner colors" at some point, or just in the normal ones. It's a nice pilot - it's a good trooper. 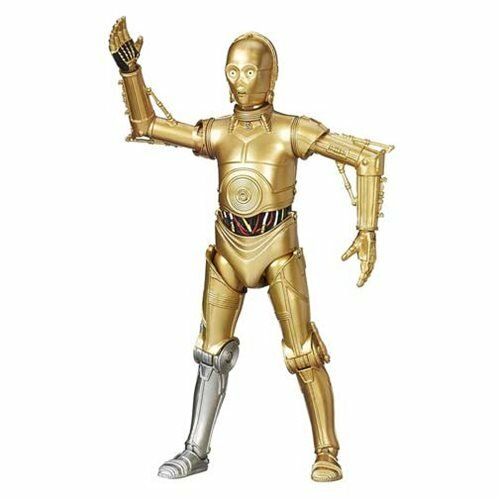 The helmet and suit detailing look great, and the joints and pose show how far we've come since the good - but admittedly aging - 2004 figure came to be. It lacks articulation, but it looks more authentic than any other pilot figure at this scale and it fits in the ship. It works for me. I wouldn't necessarily recommend getting the ship just for this figure, but it's a fantastically weird ship that looks like the missing link between the Revenge of the Sith Jedi Starfighter and the regular TIE Fighter. It's also quite long. Since I utterly love new vehicles, especially trilogy-era vehicles, you know I love it. It doesn't do much other than shoot and flap its wings. Oh, it can shoot - the green darts have quite a bit of range, and the toy can store 2 on each wing as well as one in the launcher. It only includes two. If the current going rate seems excessive, know that I paid that for a B-Wing in the box back in 1989 with a smile. I love ships. It's a shame we're only seeing (so far) 4 brand-new molds and of them only two are completely new vehicles, but I'll take 'em. Heck if I know when the next time Hasbro will have a chance to give us new Rebel and Imperial craft.